At Boiling Spring Campground you can enjoy the unique experience of camping in the Missouri Ozarks without owning or towing a camper! Each cabin is just a short distance from the beautiful Gasconade River and your next great outdoor adventure. 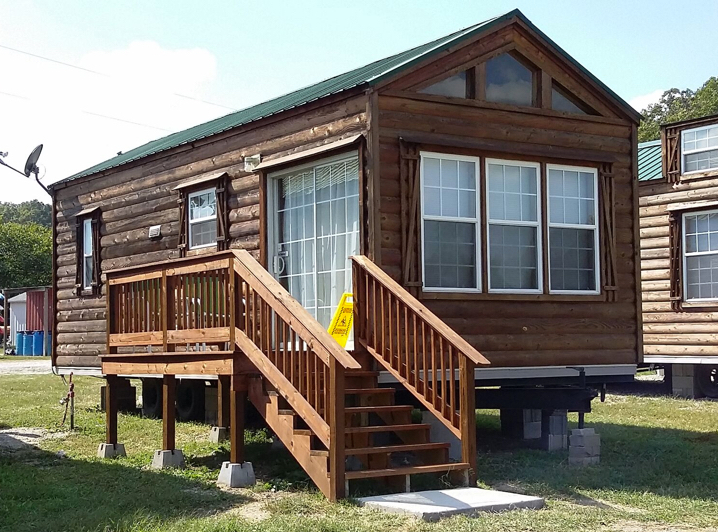 Our cabins are very popular for family vacations and those attending Military graduations at Fort Leonard Wood. Cabins are well maintained with heat and air, equipped with TV, refrigerator, kitchen stove, microwave, coffee pot, cooking utensils to include pots, pans, and silverware, shower and flush toilet. Bed linens are provided for master bed room only, and no maid service. 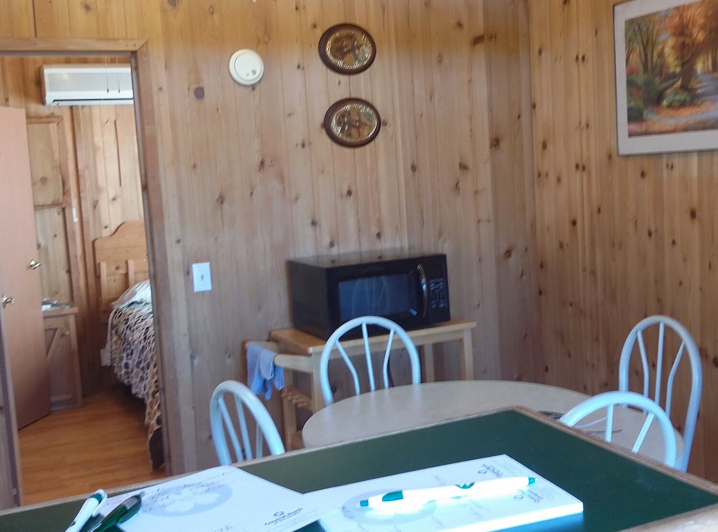 We have four cabins that are like new! Cabins are available 1 May through 30 October. Each cabin is just a short distance from the beautiful Gasconade River and your next great outdoor adventure. A minimum two-night consecutive stay required. Our cabins are very popular, so reserve early! Note: Sorry no smoking or pets in our cabins. Cabin each additional person – $5.00 per day. Bed linens are provided for master bed room only, and no maid service. Weekly Rate – $499.00 plus tax. (Up to 4 people). Children under age 5 – Free. A minimum two-night consecutive stay required. Check in time is 2:00 PM. Checkout time is 11:00 AM. Cancellation Policy: You must obtain a Cancellation Number if you need to cancel your reservation. We charge a service fee for no shows and reservation canceled within 7 days of your arrival date. We do not overbook. Each cabin, camp site or boat rental is reserved for you personally. You are responsible for paying for what you reserve. Looking for something to do while you camp with us? Reserve a Canoe, Raft, Kayak, Tube, or Jon Boat for a leisurely fun float trip on the Gasconade or Big Piney Rivers.